4th of July Happiness! Red, White & Happy! My favorite time of year!! It’s summer, the weather is gorgeous, the beaches are packed and Fourth of July celebrations are about to begin! The Fourth is one of my favorite holidays. I always get a kick out of seeing the American people come together on this day to celebrate a day commemorating our Independence. Of course the BBQing, the festive drinks, the outrageous parties and THE FIREWORKS are the best parts, but the togetherness, if only for one day, is what makes it so special for me. Typically, on Fourth of July, I like to be at the beach the entire day and watch the fireworks on the beach that night. I haven’t officially made plans this year, so if all else fails, Pinterest has come through with some great dessert ideas, in case I have to keep it local with a few close friends. Although I am going to try my best to go out and see kids with sparklers & popsicles, drunk uncles who have had waaaaaay too much to drink and everything coated in RED, WHITE & BLUE, I definitely have a back-up plan. So let’s get festive! 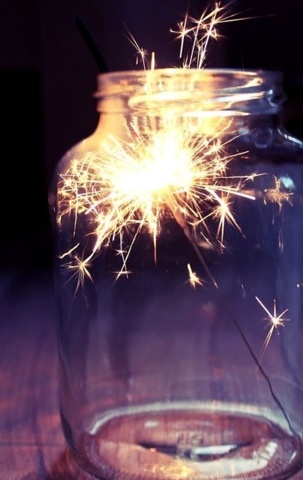 Check out some ideas and have a safe and happy Fourth of July!! Stripes of Fruit and Cheese! Beverage Cart. What drinks can you think of that are red, white and blue? Strawberry Shortcake. Another fave. And it’s decorated so cute! Who doesn’t love red, white and blue sprinkles on an Ice Cream Cone? Watermelon Sorbet in a Watermelon Rhine….How Clever!